SummerSkye Residences, a reserve of laid back temperament to cherish one's own pace of life. Located at Ideal Vision City in Bayan Lepas, Penang, SummerSkye Residences set on a 6.62 acre plot housing 507 condominium units with some units having a dual-keys concept. The built-up area ranging from 1,100 sq.ft. and 1,200 sq.ft. SummerSkye Residences is expected to have a similarly impressive range of facilities. Accompanying the units are 78 commercial lots with built-up areas ranging from 1,219 sq.ft to 2,062 sq.ft. or to book your very own viewing session. Dear clients, Summerskye by Ideal Property now open for for sale. Show room is ready for viewing. http://v.ht/GoOD to register your interest. Looks like the condo SOLD OUT already. Facebook group created, SS owner are welcome to join. for those SS owners who want to join our group. pls kindly drop an email to “summerskyeowner@gmail.com” as or Facebook group privacy is “secret” now..
Limited garden units up for grab!! Airport Facing Units AVAILABLE NOW! May i know when is the completion year? To be Completed in Oct 2018!!!! BOOKING FEE RM 8,000 ONLY !!!! - NOT TO PAY AGENT FEE!!! Pleased and happy to announced that for those that have missed out, There is an Open Units on hand currently!! New units! - Zero Cash Usage to Purchase!! Love Garden Type and Decorate Your Own Garden? 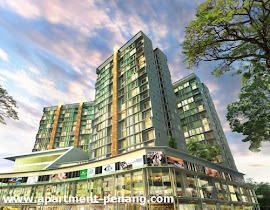 - From RM710k onwards only! SUMMERSKY RESIDENCES NORMAL & GARDEN UNIT FOR SALE X-MAS PROMO !! Air cond, water heater, fan, kitchen cabinets top, grill, Yard windows, curtain.